Our Vision: Achieve maximum parishioner involvement via volunteerism and financial support. Our Mission: Seek greater participation in ministries and encourage full financial support through education and communication of our church’s needs to our community. Provide a source of information defining how to be a member in good standing through volunteerism and financial support. Meeting Schedule: Last Monday of each month at 6:00 pm in Library. Open to all members of Holy Trinity.  The Holy Trinity Cathedral and Courtyard Renovation is complete. And it looks outstanding. A job we can all be proud of. But we still need the help and support of the entire community to continue raising the needed funds. We have just completed round one of the Commemorative Paver Program. Thanks to all who participated by purchasing a paver. We look forward to seeing the collection of pavers honoring so many members of our beautiful community. If you are interested in helping with the fundraising, please contact Gloria Kontoulas.